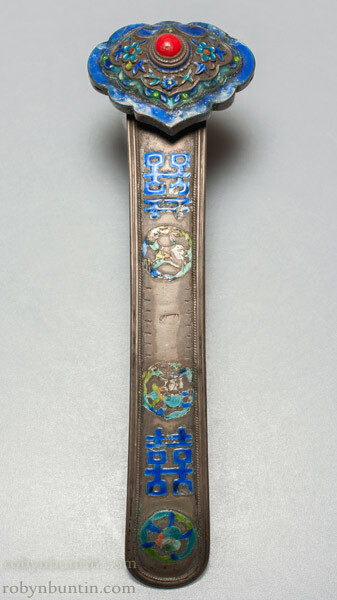 Silver Japanese hairpin, ca 1910. 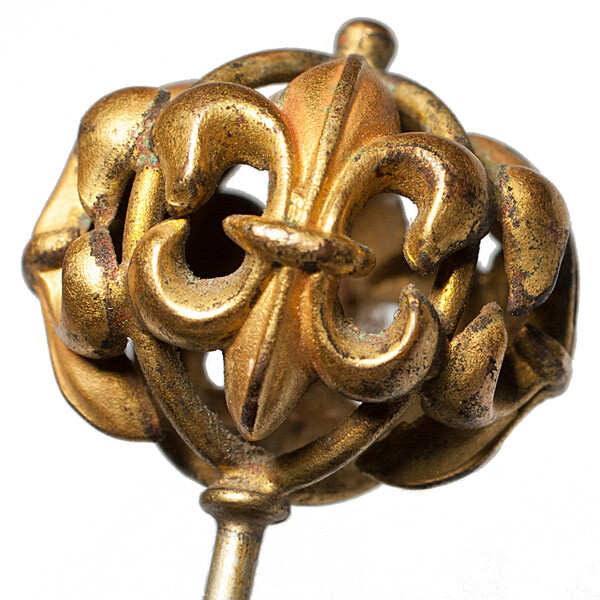 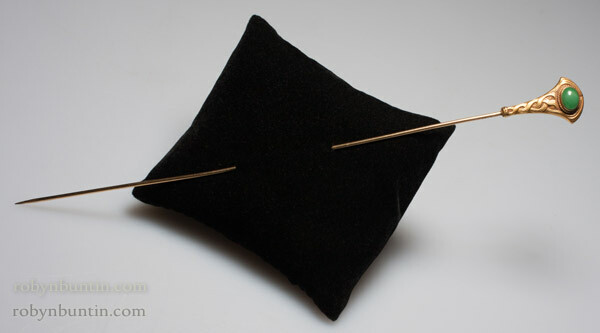 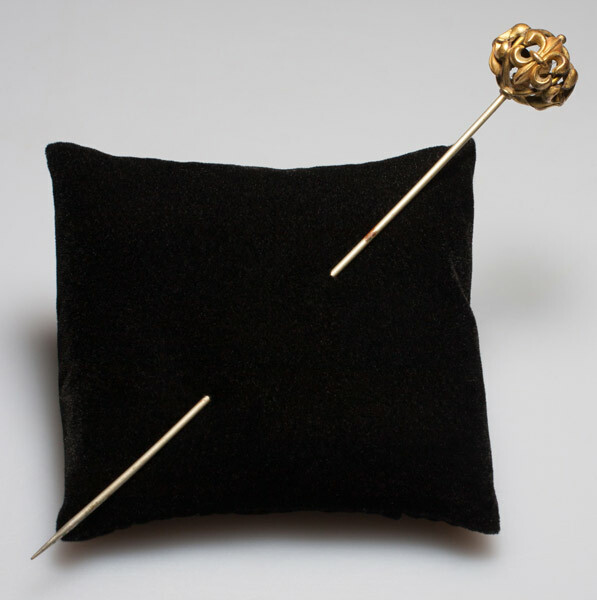 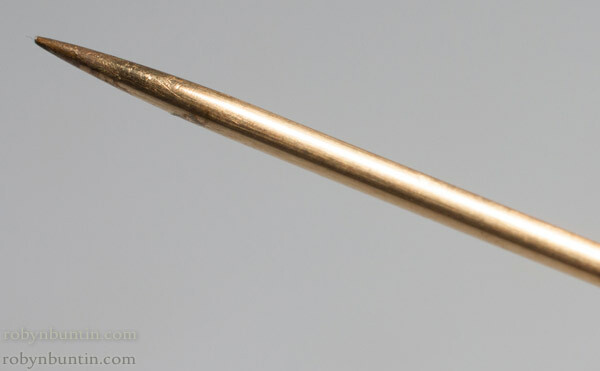 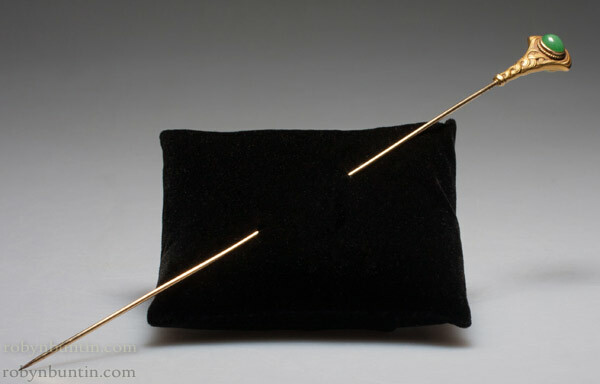 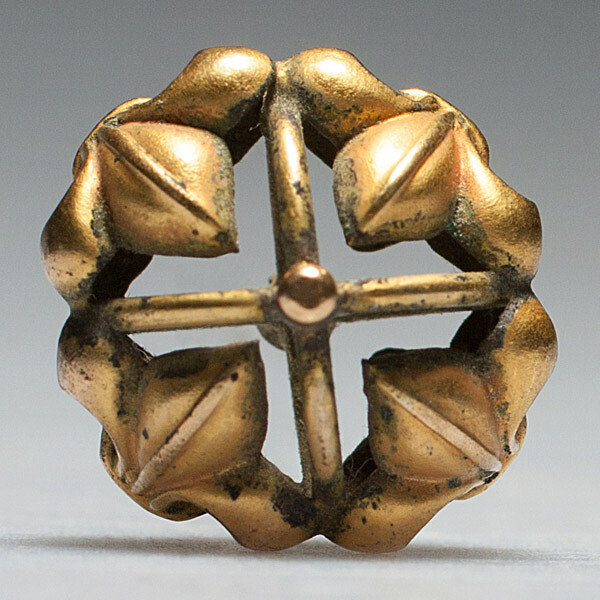 The end of the hairpin is in the form of a silver flower with gold stamen. 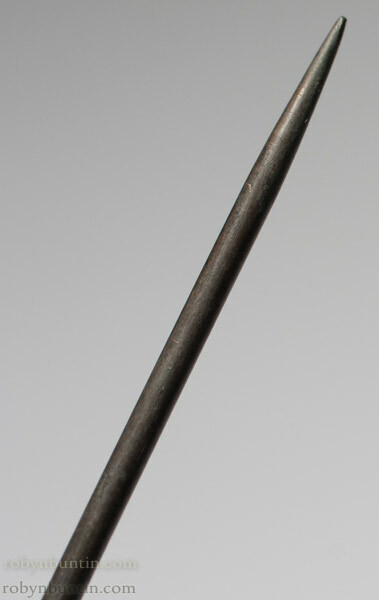 Ornamental Japanese silver hairpin, ca 1910. 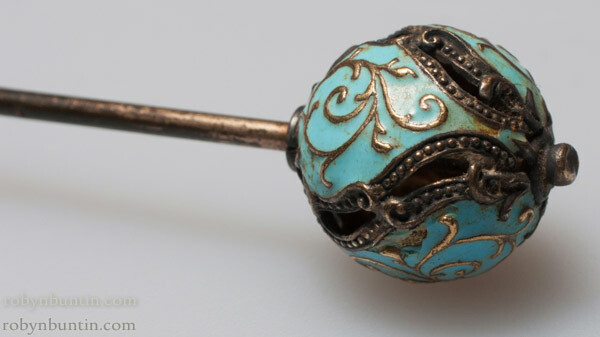 Silver Japanese hairpin, ca 1910. 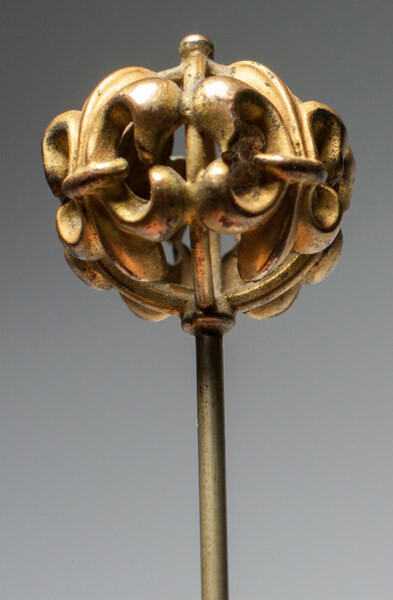 At the top of the hairpin is a silver floral design. 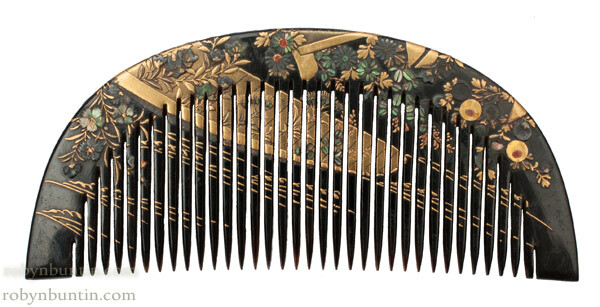 Ornamental Japanese lacquer hairpin, ca 1910. 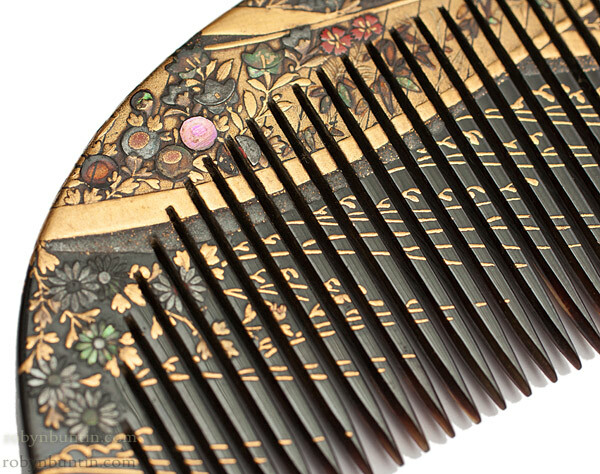 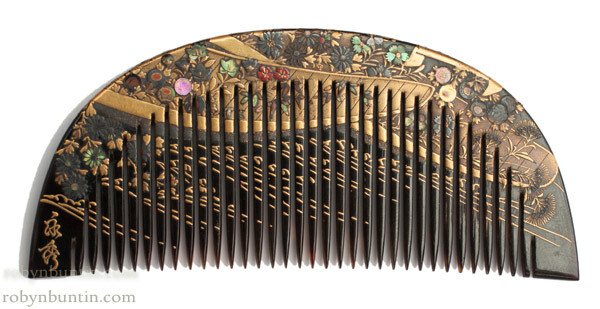 Large Japanese comb of silver and tortoise shell, ca 1910. 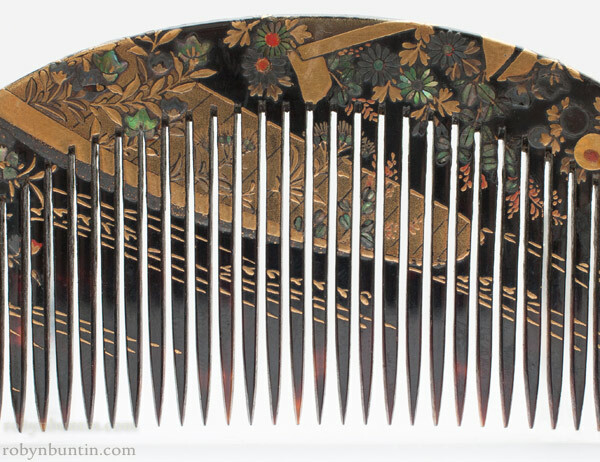 Pair of Japanese ornamental silver combs, ca 1910. 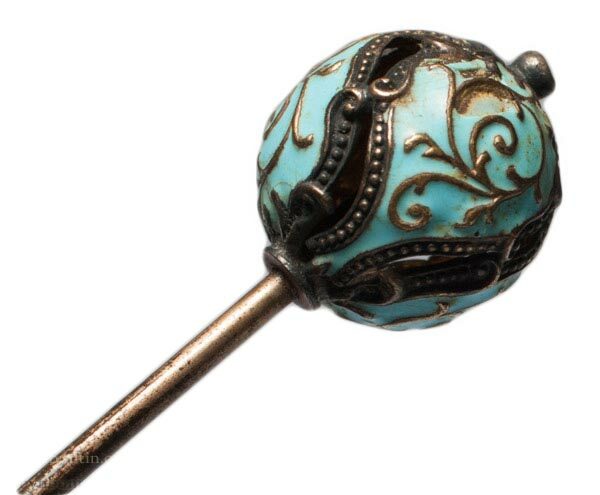 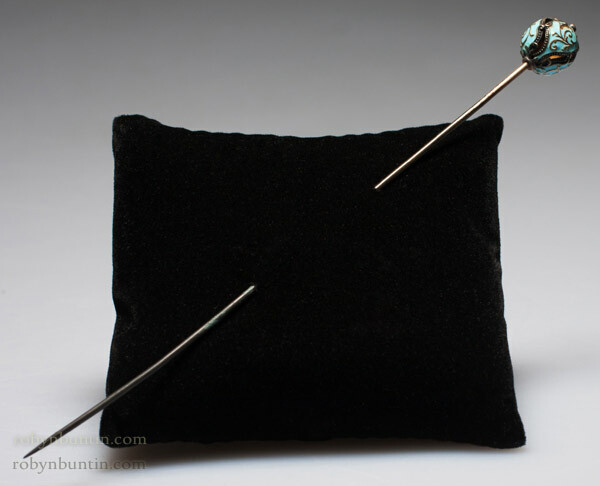 19th century silver & enamel hair pin and stand. 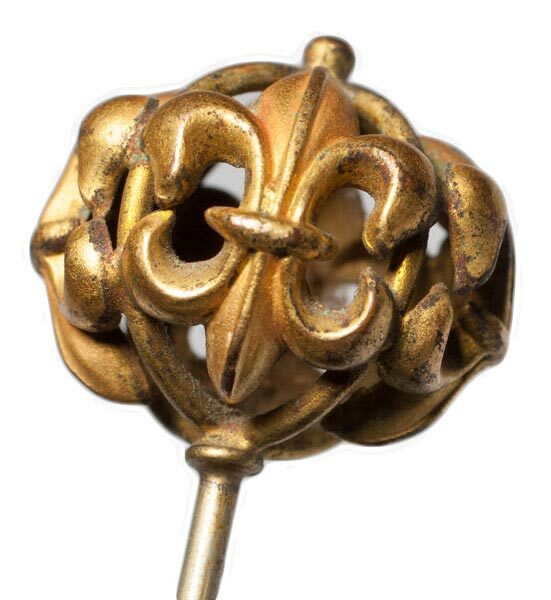 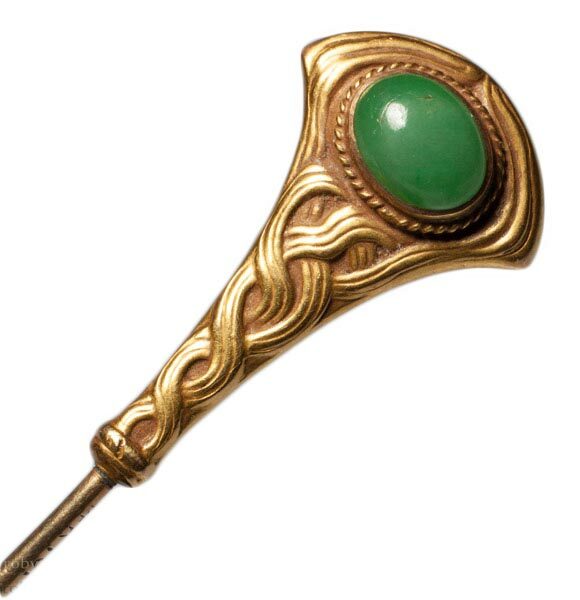 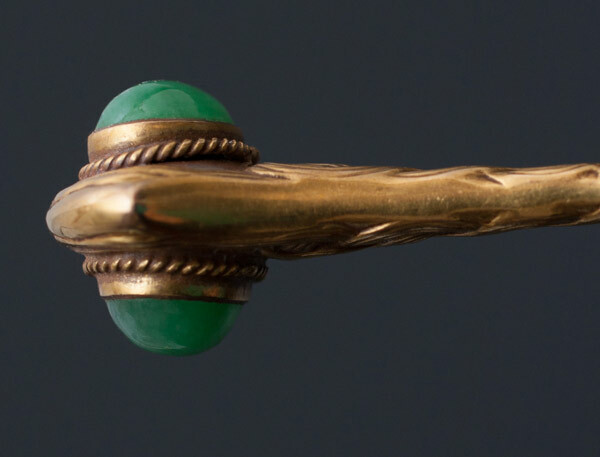 This hair pin is an extraordinary work. 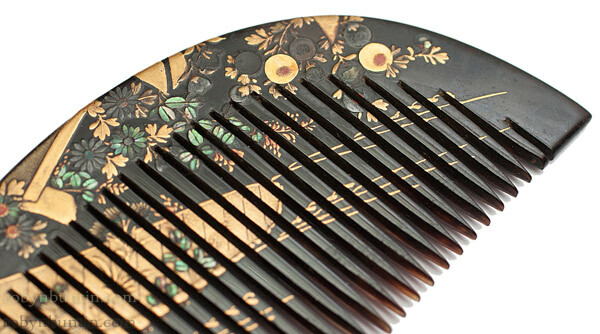 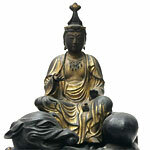 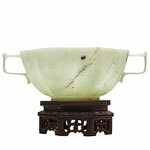 It is made as a filigree design with line form floral decoration on the filigree on the back. 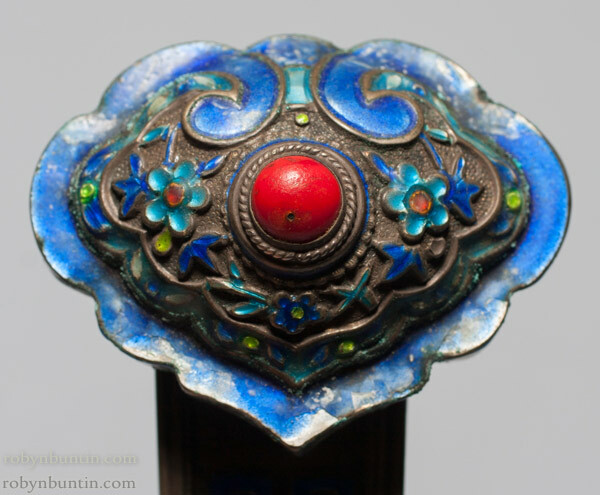 The front is a gorgeous design of high relief insects and floral elements that have been covered with sparking blue enamel. 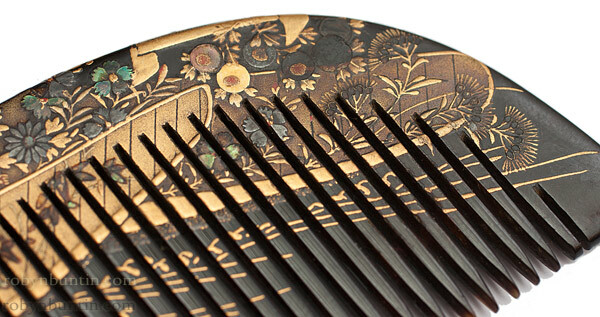 The overall shape is of an ancient fan that would have stood on either side of a throne. 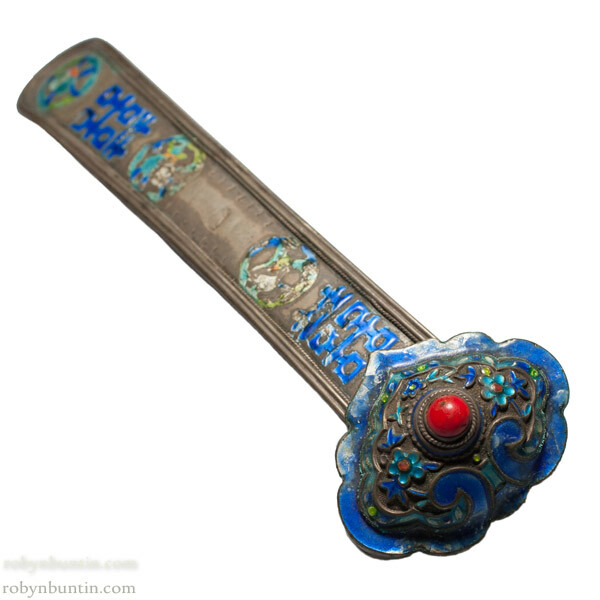 It has its own silver stand. 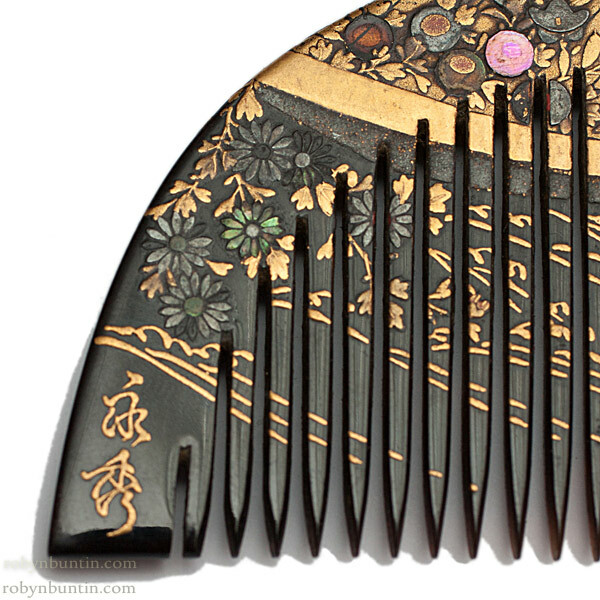 It was probably for a high born Manchu.